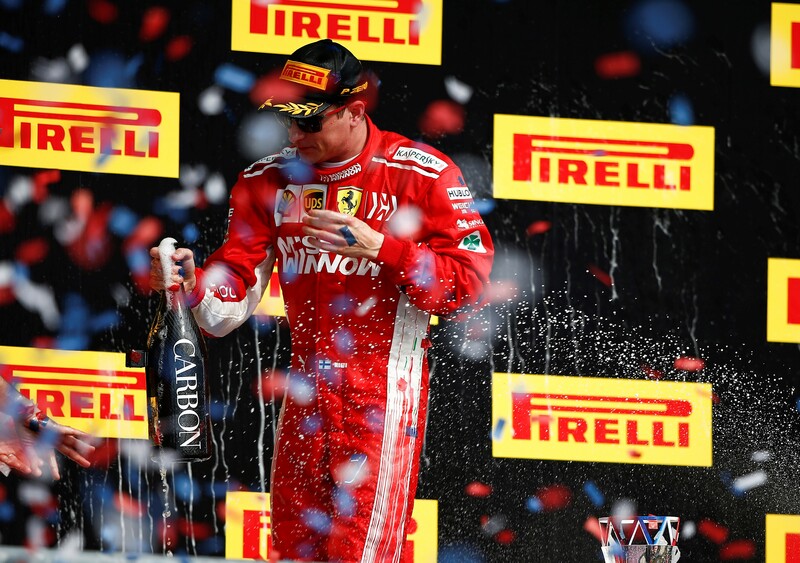 Austin, October 21, 2018 – Ferrari’s Kimi Raikkonen won an action-packed Pirelli United States Grand Prix, with the top three covered by less than three seconds and using three very different tyre strategies. While Raikkonen won the race from second on the grid, using an ultrasoft-soft strategy, Lewis Hamilton was the only one of the frontrunners to use a two-stopper. Having started the race on supersoft from pole, the Mercedes driver made an early stop on lap 11 under a virtual safety car for soft tyres. But after pushing hard to regain the lead, he was forced to stop again for another set of softs with 20 laps to go, which dropped him out of championship-winning range. Yet another strategy was used by Red Bull’s Max Verstappen, who started from 18th on the grid but worked his way up to second at the finish. This was also thanks to an opening stint on the soft tyre, before he switched to the faster supersoft for a longer stint close to the finish. “Congratulations to Kimi Raikkonen for a brilliant win, after controlling one of the most tightly-fought grands prix of recent years, where tyre strategy played an important role. There were four different strategies in the top four, with the race also influenced by Lewis Hamilton’s early stop under the virtual safety car, as his team opted to take the opposite approach to Raikkonen, who stayed out. This put Hamilton on a very different strategy to those around him, which culminated in an extremely exciting finish. With limited dry running on Friday, the teams didn’t have the full picture on tyre wear and degradation, which undoubtedly contributed to the excitement and unpredictability today. Despite this handicap, all three compounds performed strongly and very consistently”. Kimi Raikkonen made one stop, which was expected to be fastest, making his sole visit to the pits on lap 20. We predicted supersoft to soft as being the theoretically fastest strategy, but the Finn instead secured victory after starting on the ultrasoft.